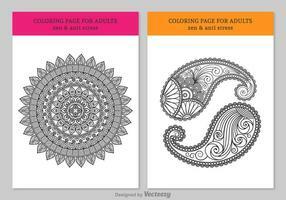 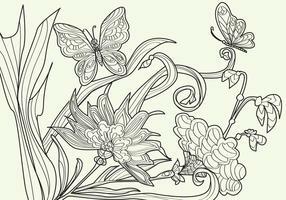 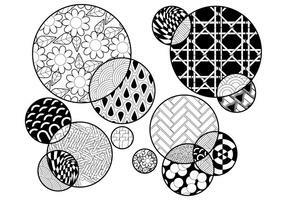 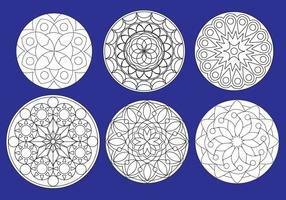 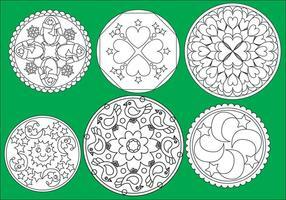 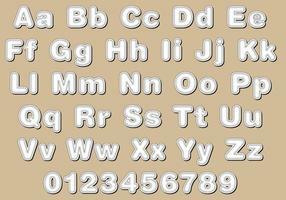 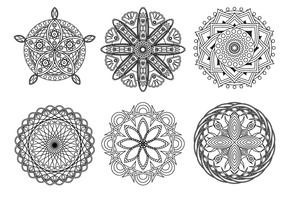 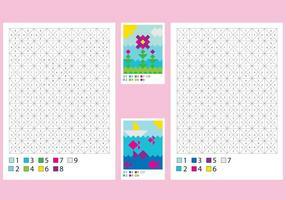 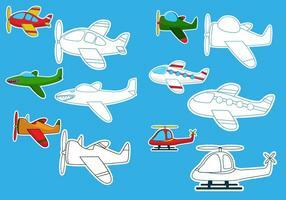 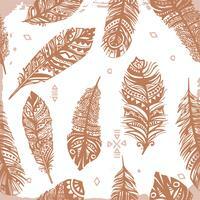 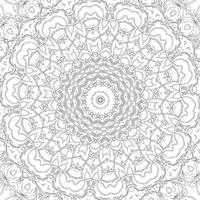 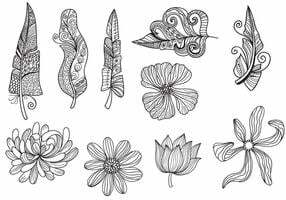 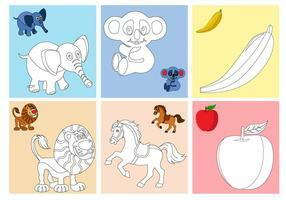 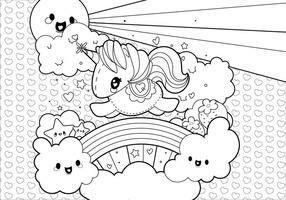 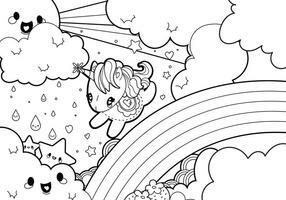 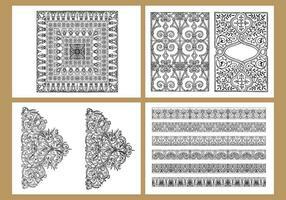 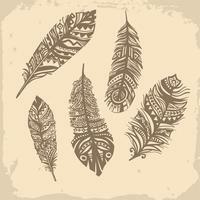 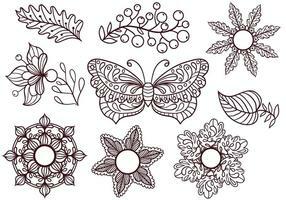 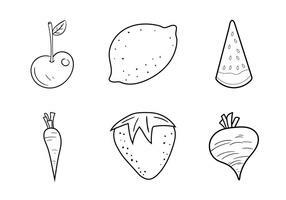 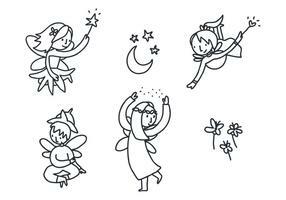 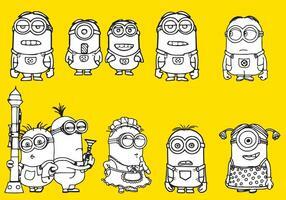 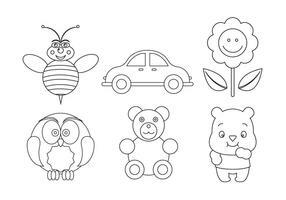 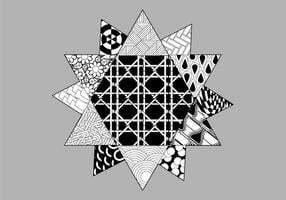 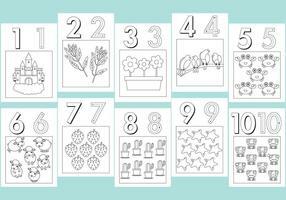 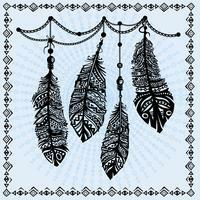 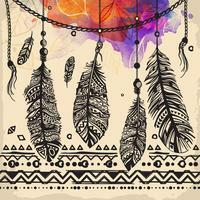 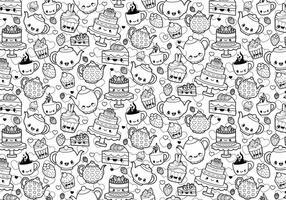 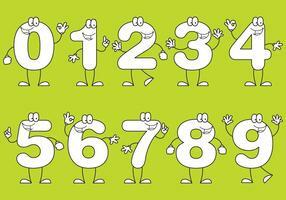 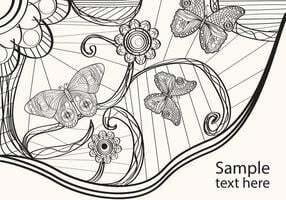 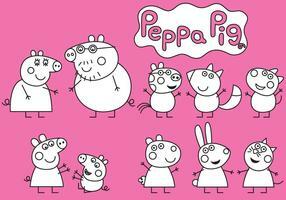 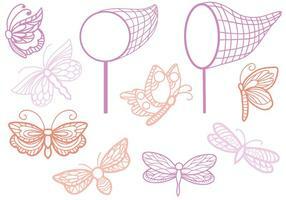 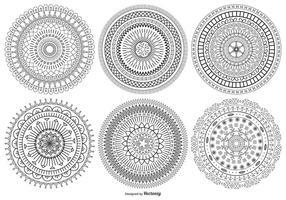 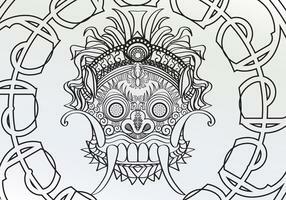 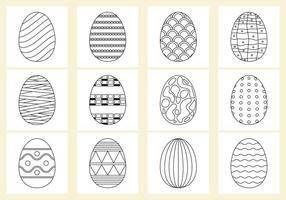 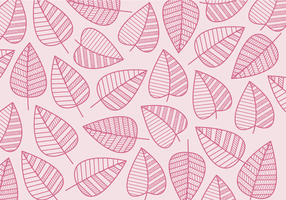 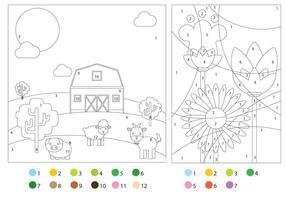 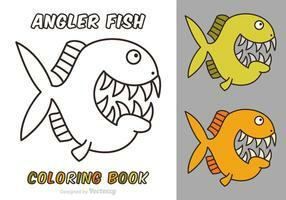 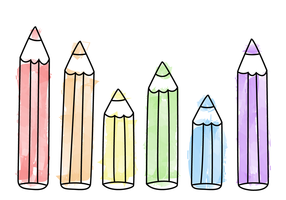 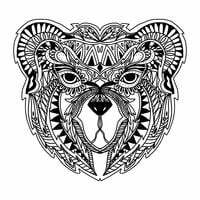 Set of vectors perfect for coloring pages. 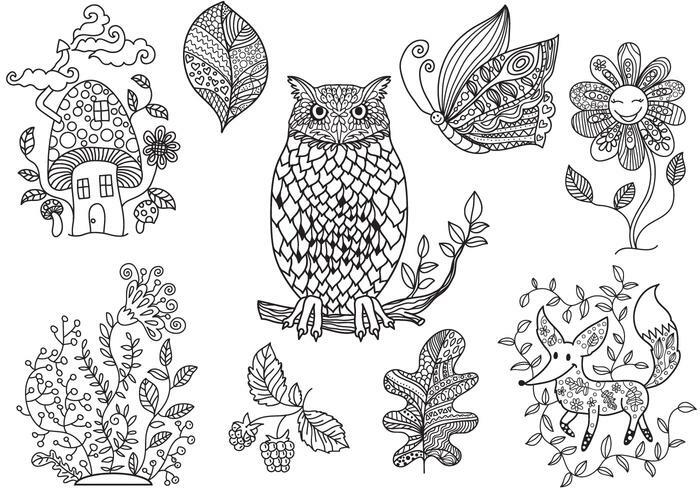 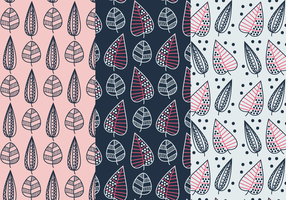 The set includes: owl, fox, mushroom-house, berries and leaves. 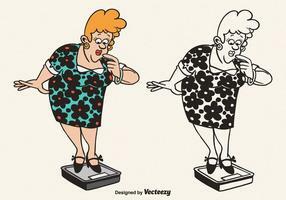 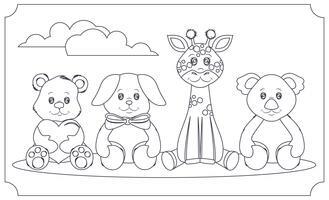 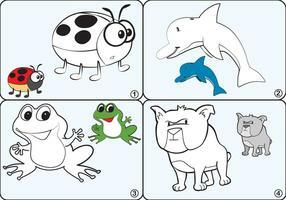 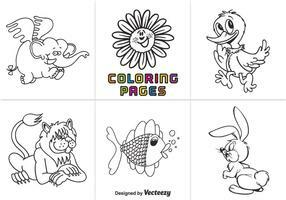 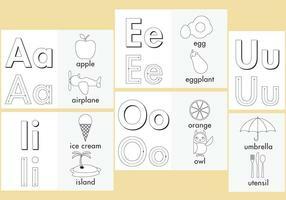 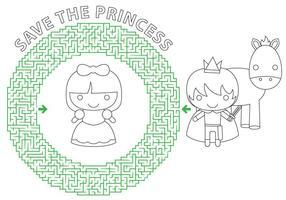 Each of the elements is suitable for children's coloring books.